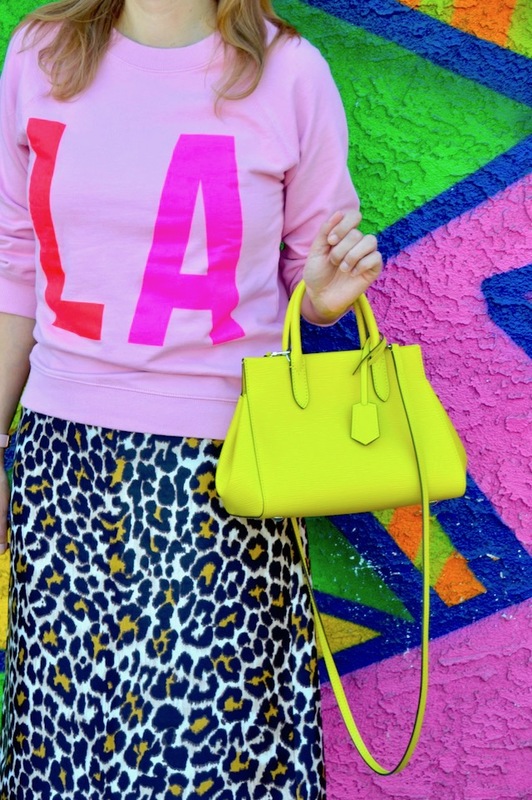 When I saw this "LA" sweatshirt, I did not hesitate to buy it as soon as it came out because, after all, I am a L. A. girl! As I've written before, I'm not a native Angeleno but I have, in my more than a decade of residing in The City of Angels, grown to love it here. What's not to love about the weather, the culture, and the food? It truly is a great city and I'm always discovering new things here. If I could change just one thing about L. A. it would be the traffic' it's truly awful but, then again, no place is perfect! One thing I've grown to love about graphic sweatshirts is that, just like graphic tees, they can be dressed up or down and, essentially, worn with anything. Sure, I could see myself wearing this sweatshirt with a pair of jeans but I wanted to wear something extra special with it for a debut on my blog. For that reason, I reached for a leopard skirt to really make the pink pop. I feel like leopard print is a very L. A. pattern, so why not? 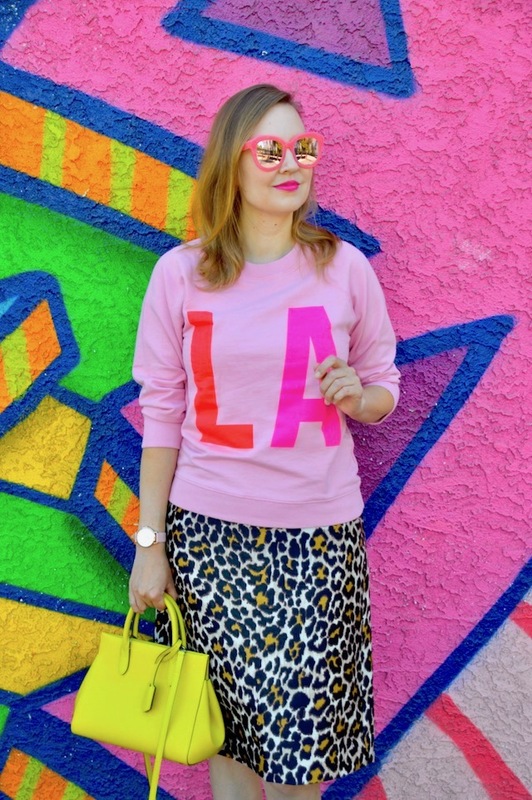 (Below, you will find some of my favorite leopard skirts for fall.) What's the other thing I love about L. A.? Well, that would be the colorful walls and murals, of course! This one is one of my favorites and it gives off a very '80s or, maybe, early '90s vibe to complement my look! Your LA top is fun and pretty! I think it looks wonderful with you animal print skirt!